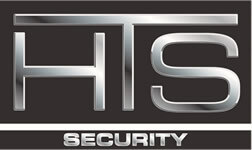 HTS Security installs and services security systems in Anoka, MN. We service the entire Twin Cities and surrounding areas, as well as western Wisconsin. HTS offers basic to sophisticated alarm systems, camera/surveillance systems and access control. The site which is now Anoka was first settled by immigrants in 1844. By the mid-1850s Anoka had grown to include a school, a store and a flour mill. In 1856, C. C. Andrews described Anoka as a “large and handsome village” and noted that pine logs were floated down the Rum River to sawmills there. The city was formally incorporated in 1878. Anoka makes a strong claim for providing the first volunteers to the Union Army during the Civil War, noted by a small historical plaque standing at the corner of West Main Street and Park Street. Alexander Ramsey, Minnesota’s governor in 1861, was in Washington, D.C. when Fort Sumter was fired upon. He immediately offered a regiment to the War Department, and telegraphed former governor Willis Gorman and Lieutenant Governor Ignatius L. Donnelly that same morning. Gorman, attending a district court session in Anoka, received the note by messenger from St. Paul and called a court recess, asking for volunteers. Aaron Greenwald, who has an “island” named after him on Lake George, and five others stepped forward; Greenwald was the first to sign. He died July 2, 1863, during the 1st Minnesota Regiment’s famous charge at Gettysburg. Contact the Personnel Department at Anoka City Hall for more information: 763-576-2740.